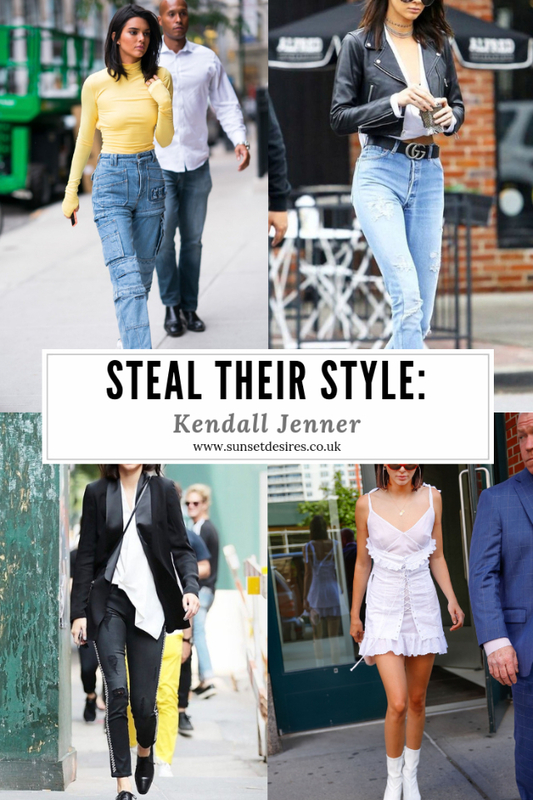 I'm back with another Steal Their Style post in the series and this one is going to be Kendall Jenner. So far I've done Gigi Hadid and Bella Hadid, both of which you can find by clicking the links. I find Kendall Jenner's style is more on the casual side (Think jeans, hoodies & darker colours) so it was a little harder for me to find inspiring, fun outfits to use. Hopefully, you still like the ones I have picked. To see the items I have picked just click on the outfit and they will appear underneath. To see more of the outfits click on the big + button. Let me know in the comments below which is your favourite Kendall Jenner outfit from the ones I have shown (Mine is the mom jeans, cropped leather jacket and Gucci belt combo) and also please leave some suggestions for other celebrity styles you would like me to steal in future posts. *This post contains affiliate links. This means I gain a small commission for any items you buy using my links. Want to see more of my fashion-related content? Awesome 👏🏾! And brilliantly put together! Oooh, I've never read a 'steal their style' kind of post before but I love the concept! In love with Kendall's style and if I had a body similar to hers I would definitely be wearing some of these outfits. Glad you like it! It's a series I have recently started and one I enjoy putting together! This is a really cool post! It must take you so long haha! It reminds me of something you’d see in a magazine! Thanks for the follow, I follow you back and if you want, now we can also follow each other also on Instagram, Twitter and Facebook. I leave you my links and thank you!! Not a huge fan of those two but I admit, I do like their style especially Gigi Hadid. She's got such a cool style! I love it! This is an absolutely lovely idea dear! Thanks for sharing! Thank you for such a wonderful post! Really interesting style!